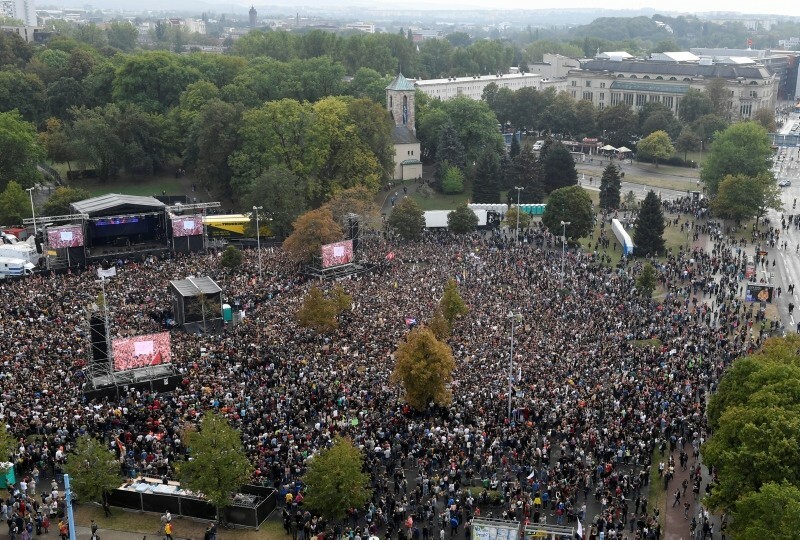 More than 50,000 people turned out for an anti-racism concert in the German city of Chemnitz on Monday following violent demonstrations by masses of anti-immigrant protesters in the past week. 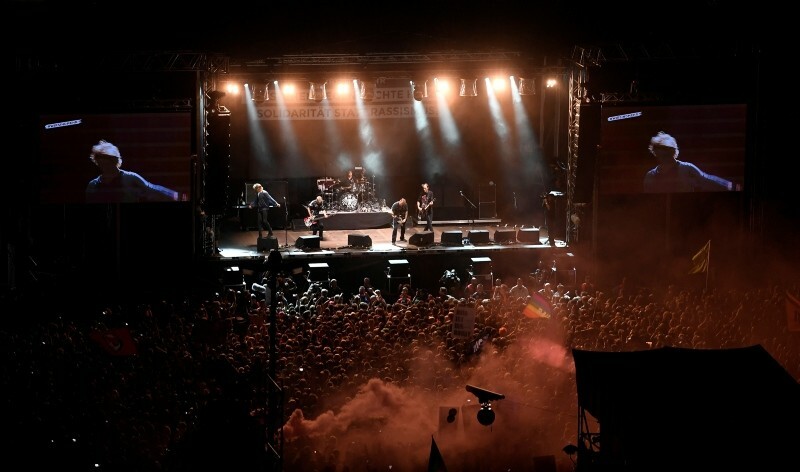 Prominent German bands played in the east German city to send a defiant message against racism and xenophobia amid unrest triggered by the fatal stabbing of a 35-year-old German man on August 26. Two men - one Iraqi, the other Syrian - have been arrested in the case. Unverified rumors about the attack - including the now-debunked claim that the victim had been protecting a German woman from the attackers - prompted rage among some parts of the city's population. Anti-migrant and anti-foreigner sentiment and have been on the rise in Germany since Chancellor Angela Merkel's decision to open the country's borders to hundreds and thousands of migrants in 2015. 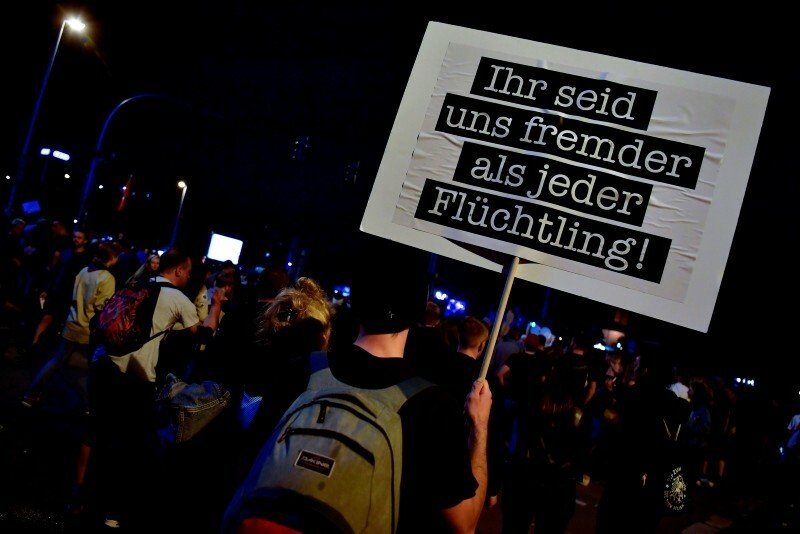 After the stabbing, right-wing groups organized multiple marches that culminated in an 8,000-strong rally on Saturday representing the far-right Alternative for Germany (AfD), the anti-Muslim Pegida movement and the right-wing campaign group Pro Chemnitz. Counter-protesters numbered around 3,000. Only 1,800 police officers from across Germany had been deployed in Chemnitz on Saturday, despite the state of Saxony being accused of allowing an insufficient police presence at a rally last Monday. 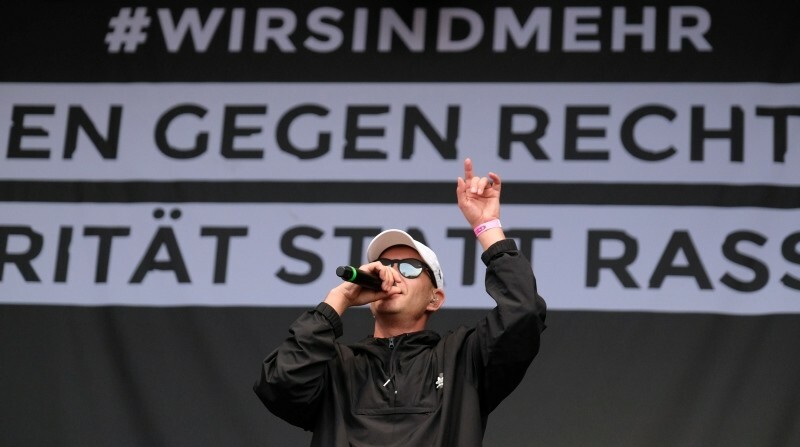 Bands such as die Toten Hosen, Kraftklub and Feine Sahne Fischfilet appeared during Monday night's free open-air concert, held under the name and hashtag "Wir sind mehr" (We are more). "We're not naive. 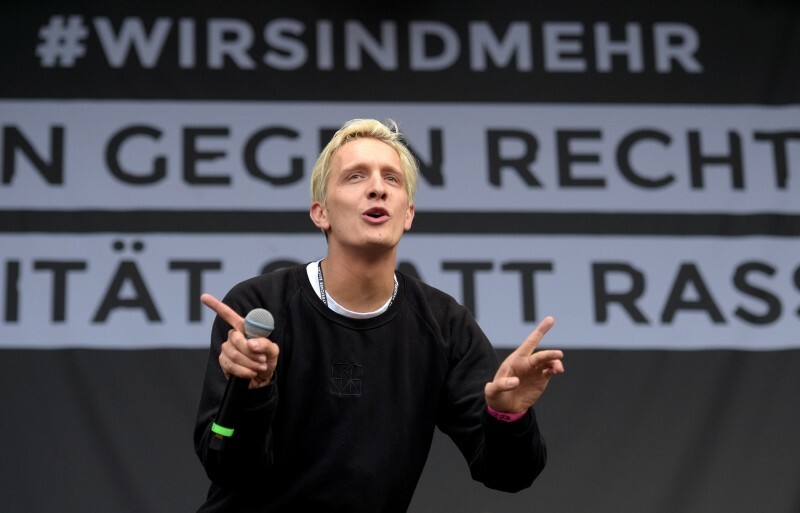 We're not laboring under the illusion that you hold a concert and the world is saved," the singer of Kraftklub, Felix Brummer, said ahead of the concert. But sometimes it's "important to show that you're not alone," he added. The event kicked off at 5 pm (1700 GMT) with a minute of silence for the man who was killed. Police said no disturbances had taken place in the first hours of the concert. 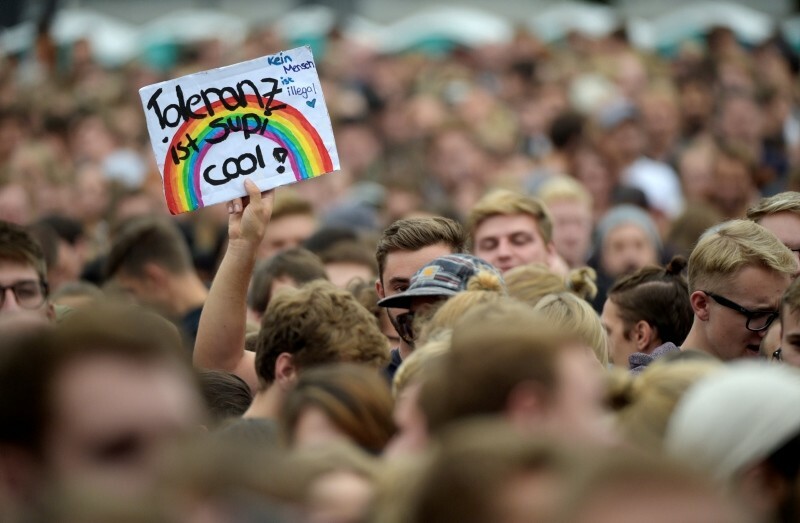 Chemnitz city officials barred a regional branch of Pegida from picketing the concert. 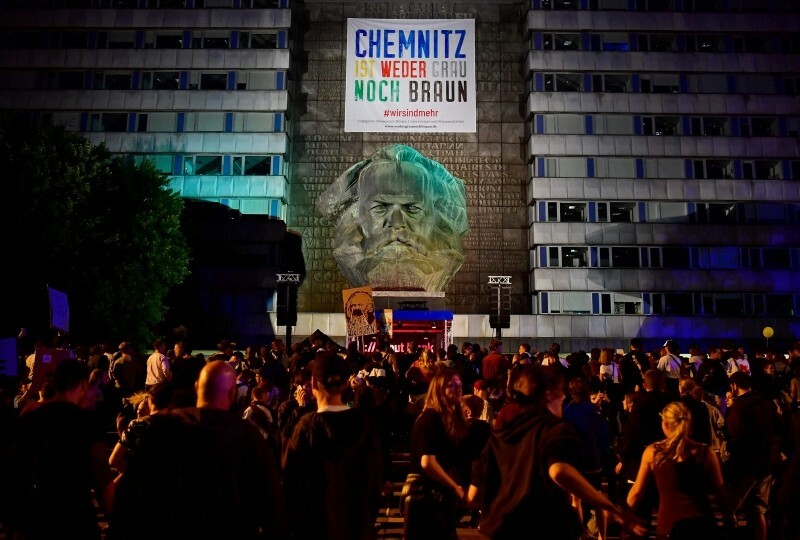 The city also prohibited Pro Chemnitz from assembling at a different spot in the city, saying neither group could demonstrate as the spaces in question were already occupied. 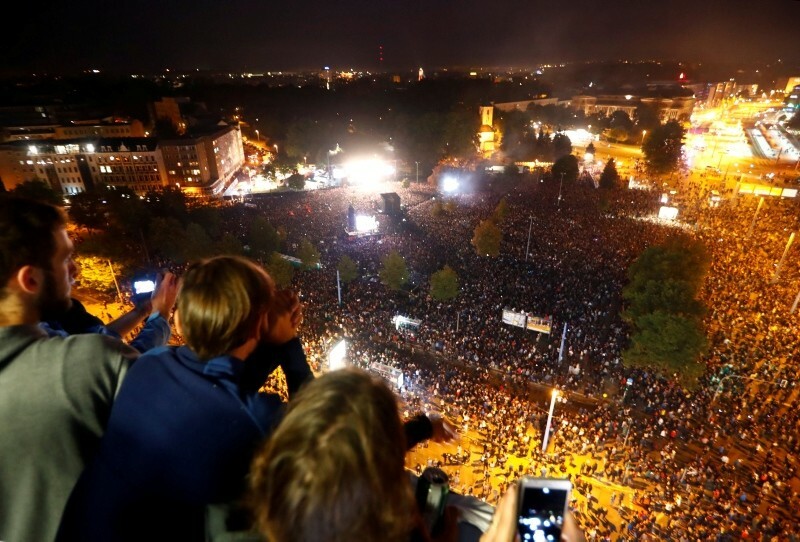 Politicians continued to trade blows over the Chemnitz debacle on Monday, with the German government taking aim at some of the right-wing protesters. Government spokesman Steffen Seibert said that aside from justified concern and shock over the man's death, "these marches by right-wing extremists prepared to commit violence and neo-Nazis have nothing to do with mourning a person or with concern for a city or community, not the slightest thing." AfD leader Joerg Meuthen defended right-wing protesters in Chemnitz, but distanced his party from the "some, and indeed it is very few demonstrators committing acts of violence against innocent people thought to have a migration background." Meuthen suggested that some protesters seen showing the "Heil Hitler" raised arm gesture could be planted saboteurs. 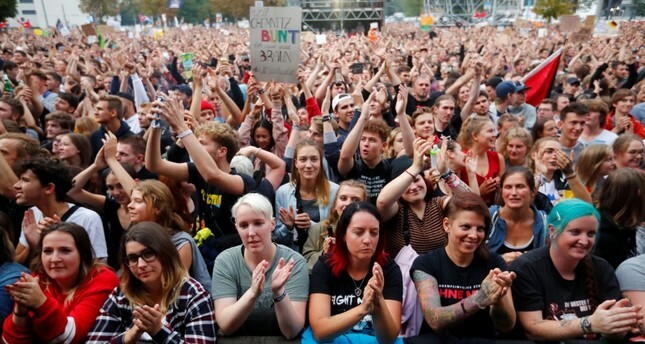 German President Frank-Walter Steinmeier also came under fire for sharing the link to the Chemnitz "Wir sind mehr" concert on Facebook because of the hard left political persuasions of some bands involved - particularly Feine Sahne Fischfilet. Annegret Kramp-Karrenbauer, a high-ranking member of Chancellor Angela Merkel's centre-right Christian Democrats, told Die Welt newspaper she was critical of the decision. Feine Sahne Fischfilet were once under observation by domestic intelligence officials for suspected extreme left views.